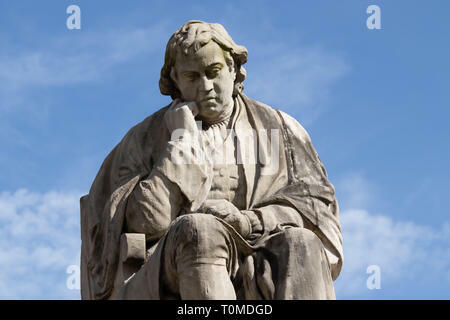 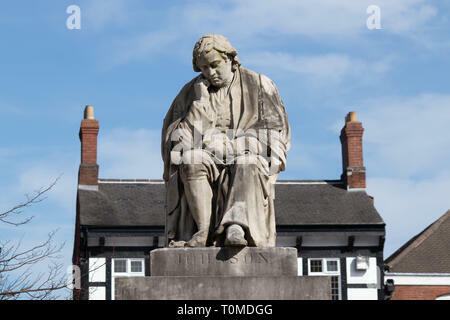 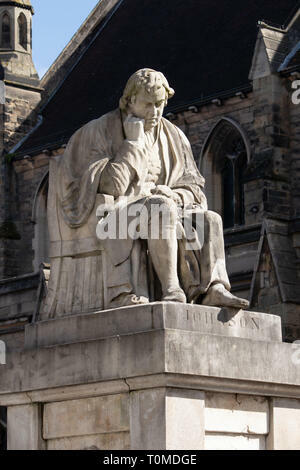 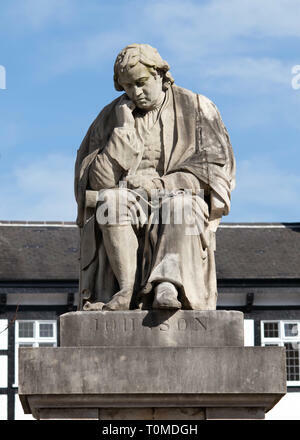 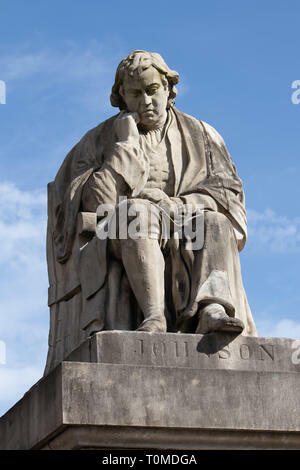 A Statue of Samuel Johnson in Market Square, Lichfield, Staffordshire, UK. 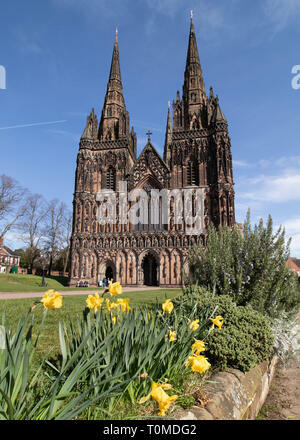 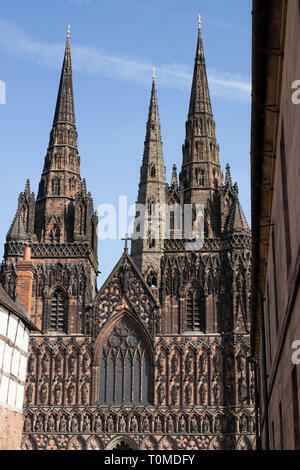 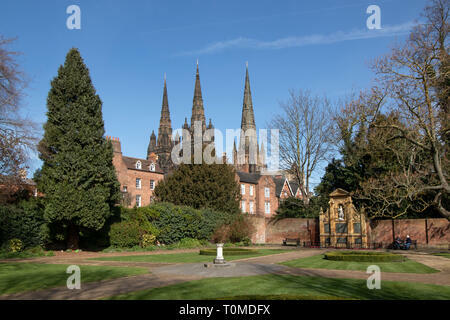 Lichfield Cathedral seen from the Remembrance garden in Lichfield. 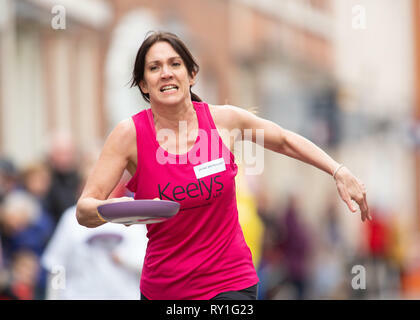 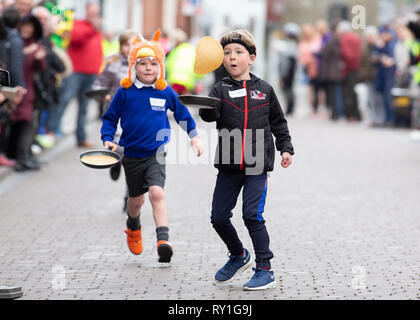 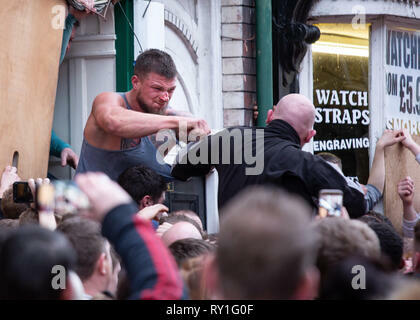 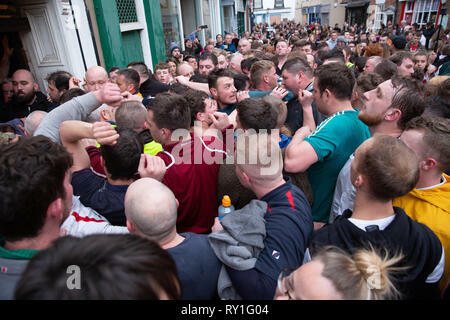 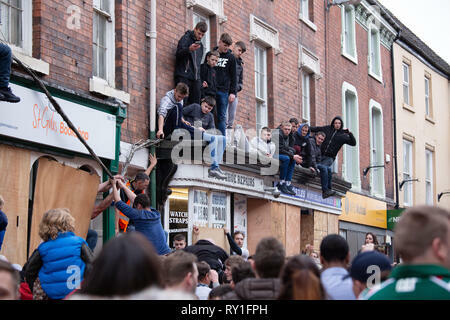 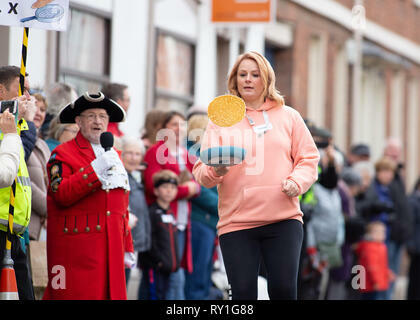 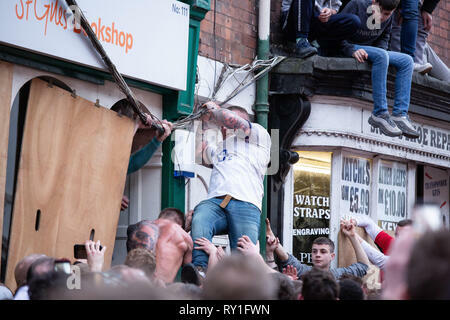 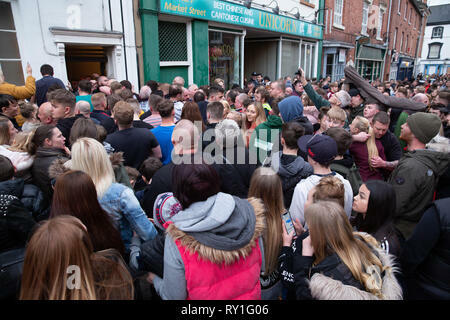 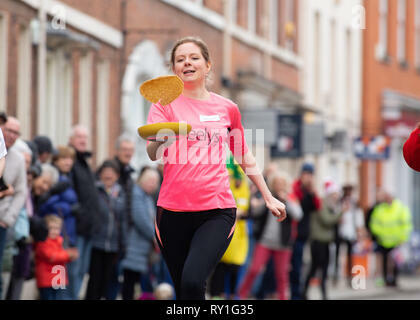 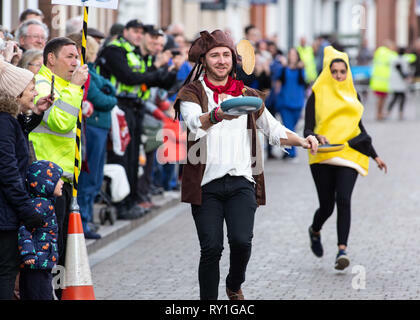 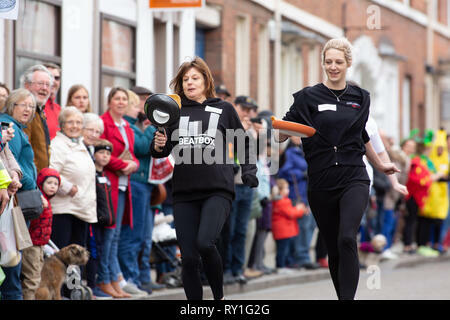 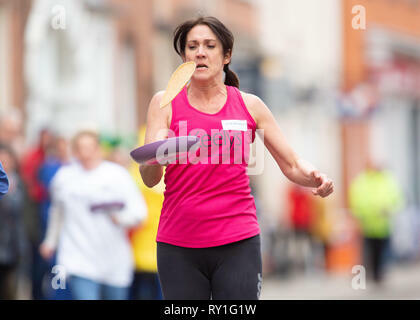 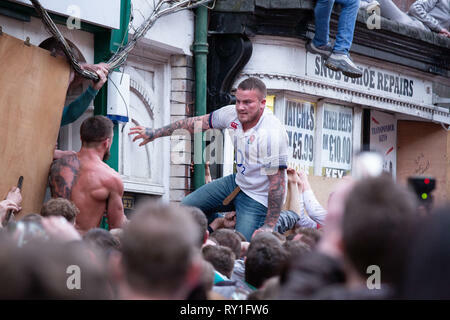 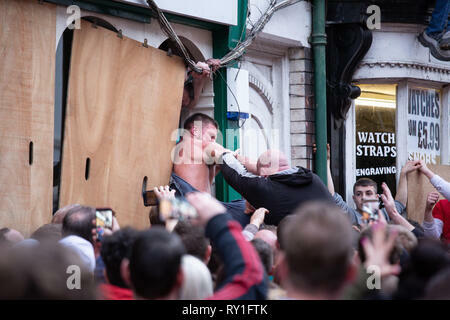 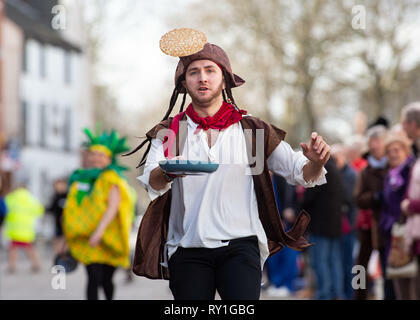 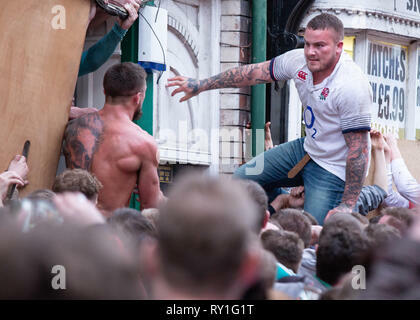 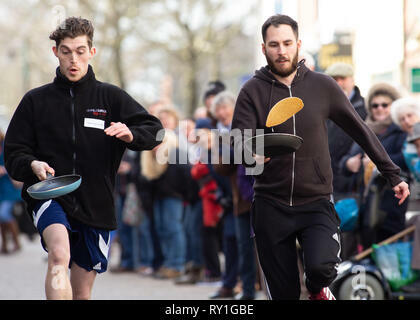 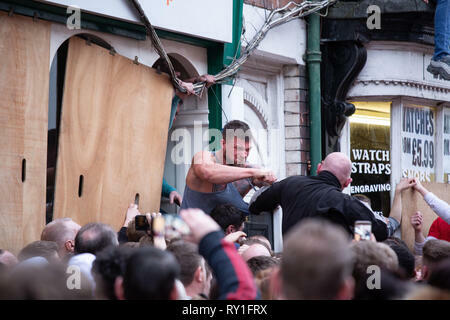 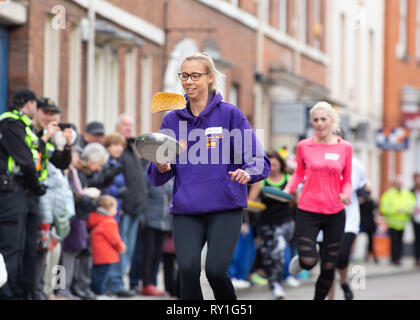 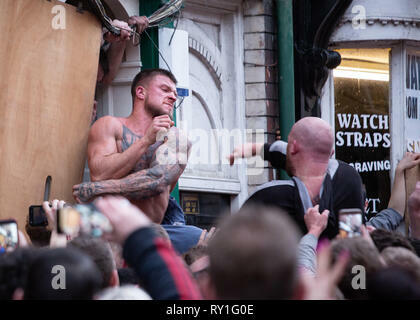 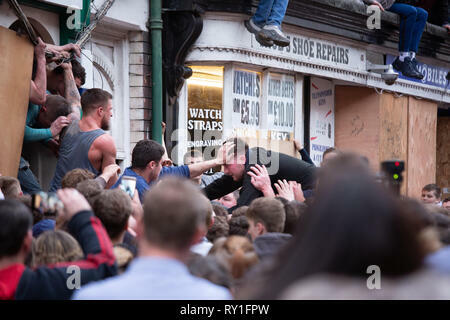 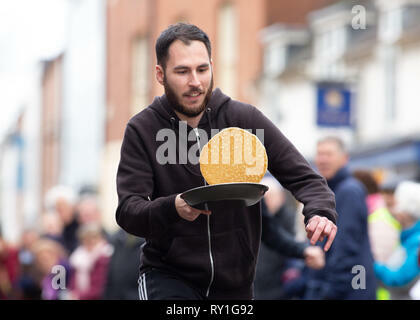 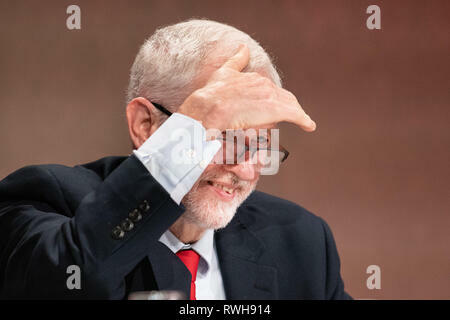 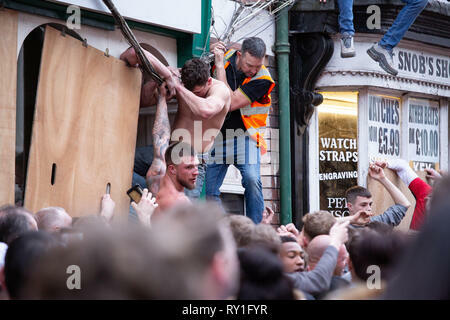 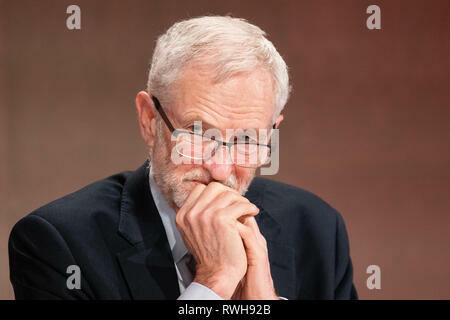 Struggles to retain the ball during the last moments of the Atherstone Ball game. 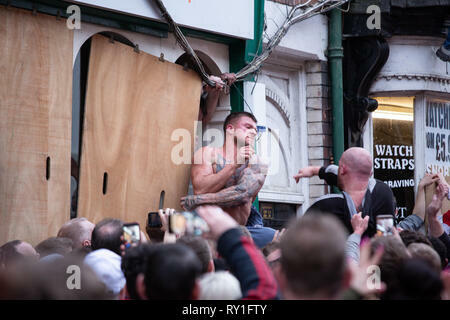 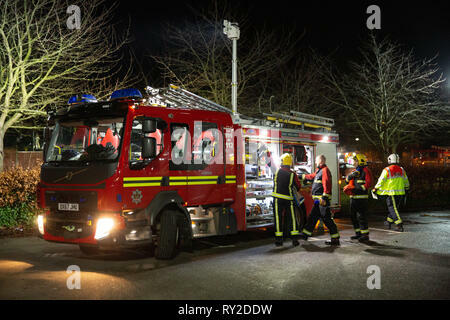 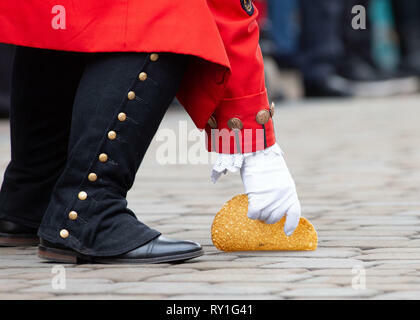 A tradition dating back to the 12th century. 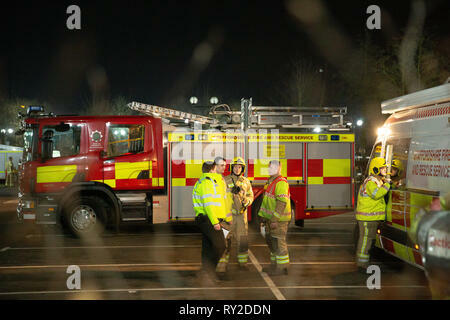 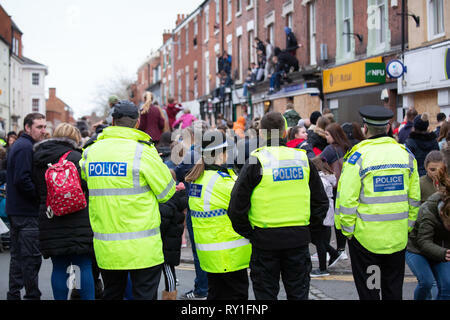 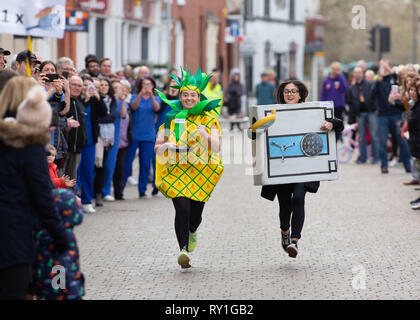 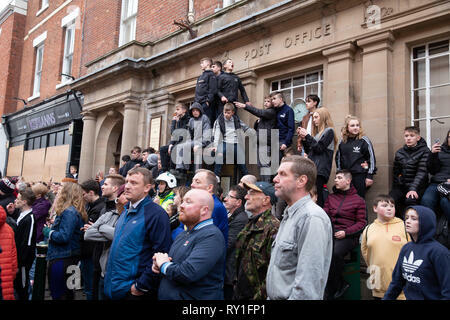 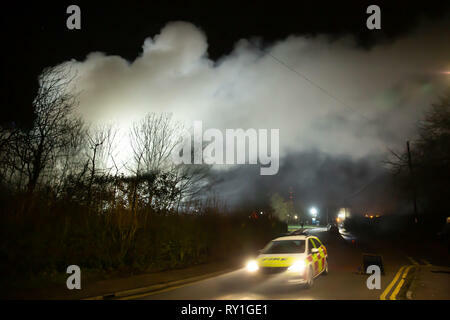 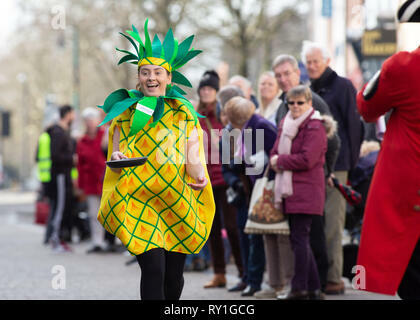 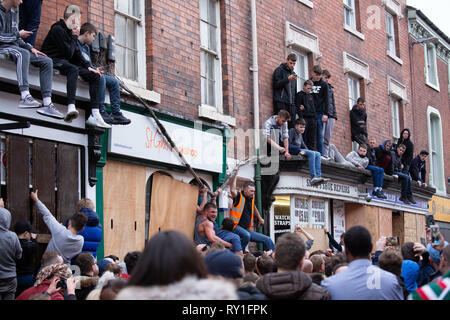 Police look on during the last moments of the Atherstone Ball game. 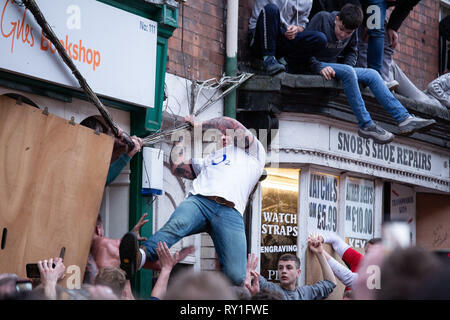 A tradition dating back to the 12th century. 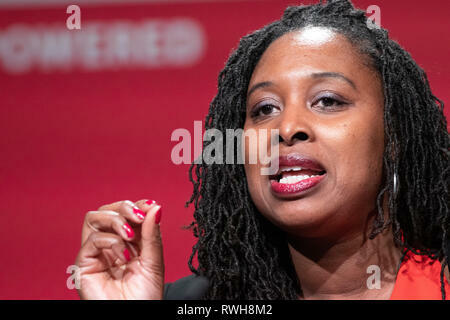 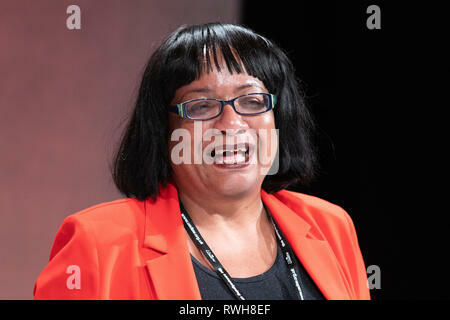 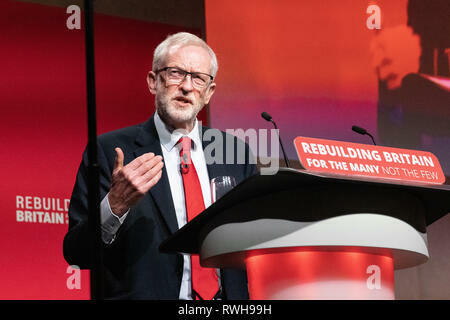 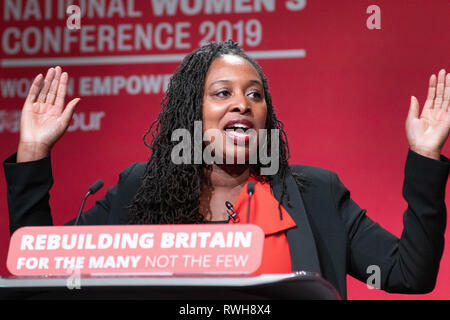 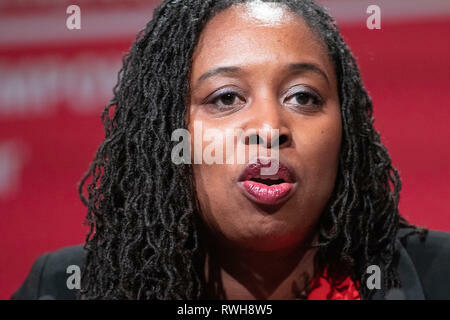 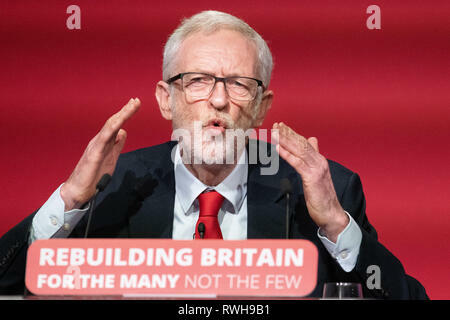 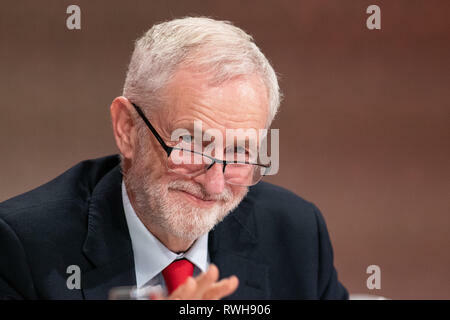 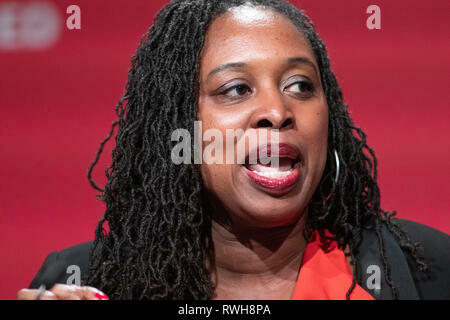 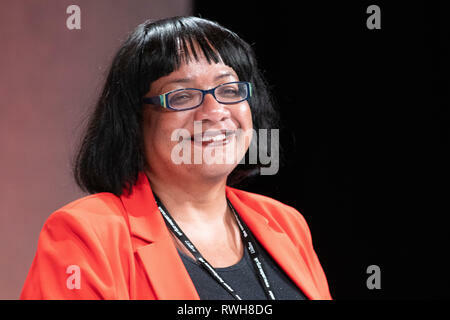 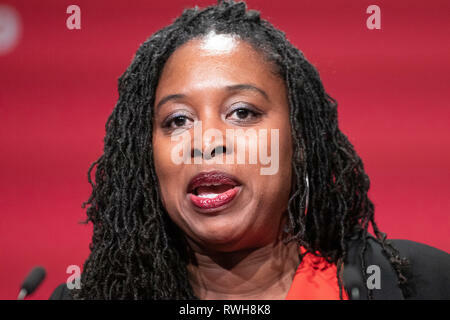 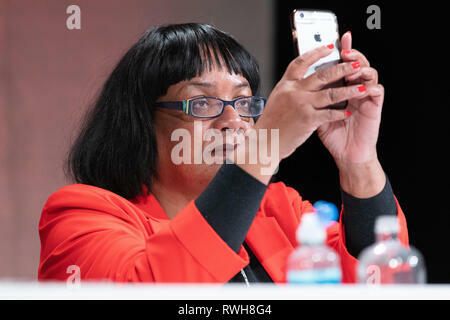 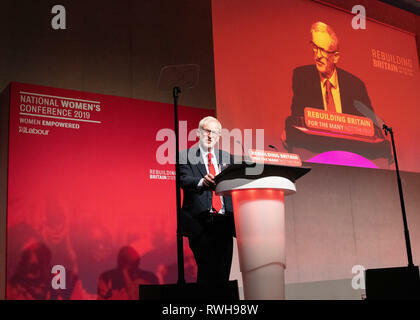 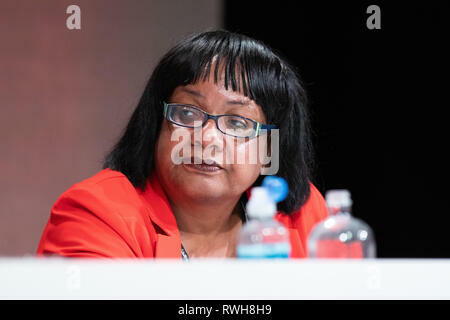 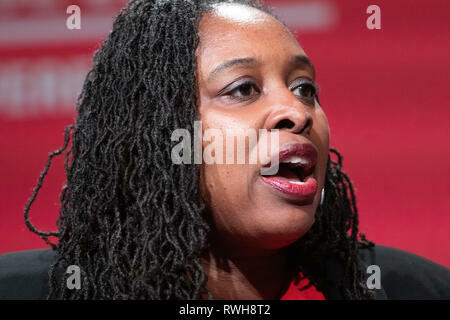 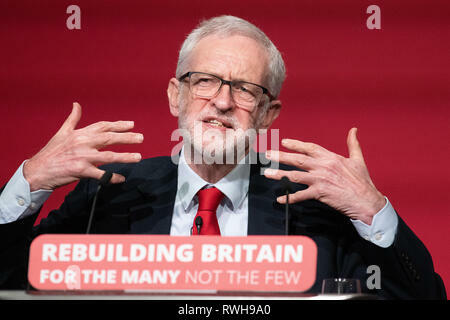 Dawn Butler addressing the Labour Party Women's Conference in Telford, UK. 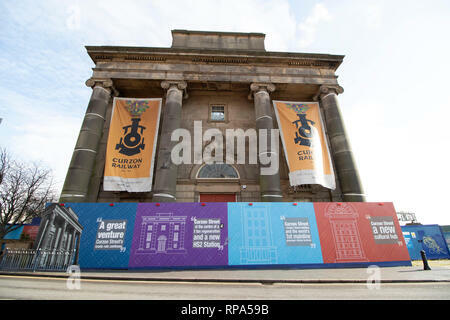 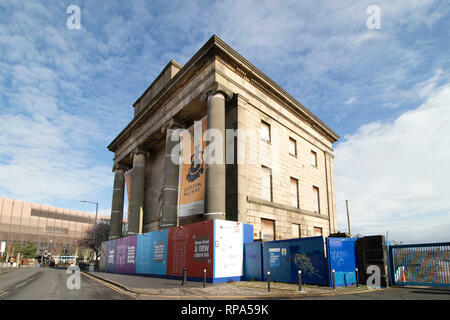 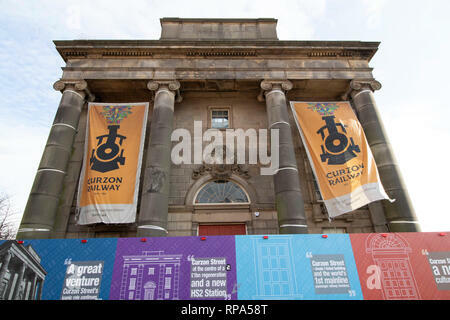 The historic Curzon Street railway station building which will be part of the High Speed 2 terminal in Birmingham. 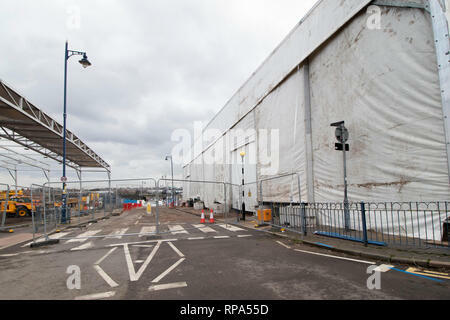 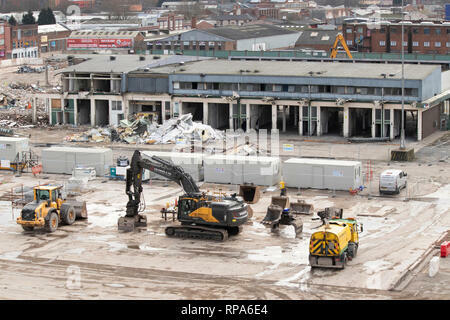 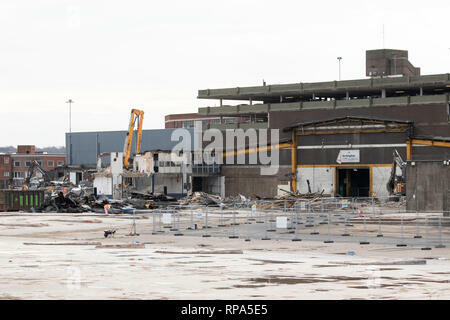 Demolition of Birmingham Wholesale Market in Pershore Street, Bull Ring Centre, Birmingham. 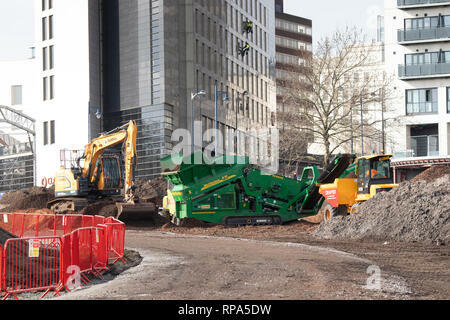 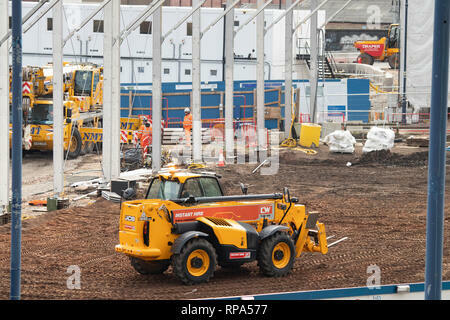 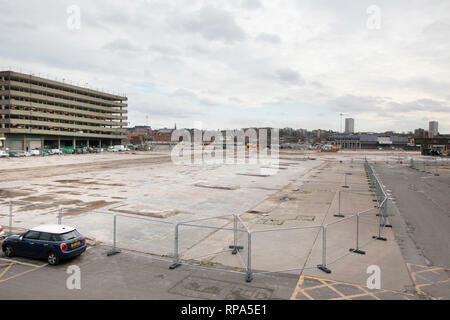 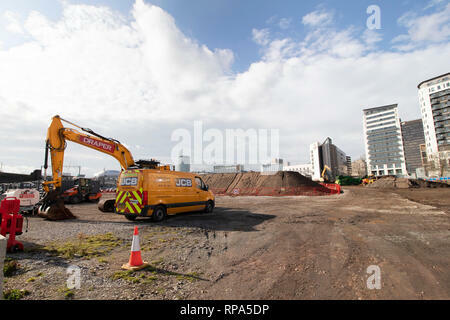 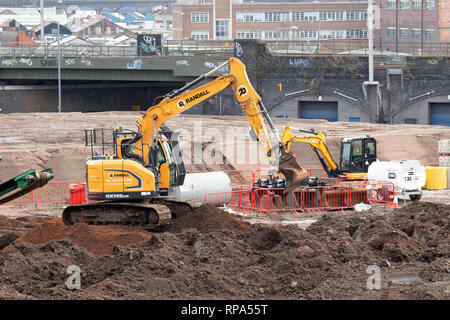 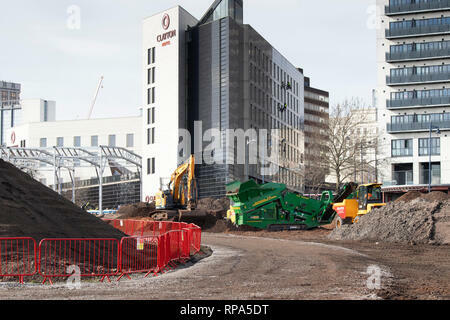 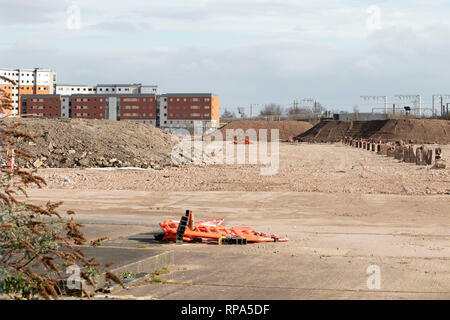 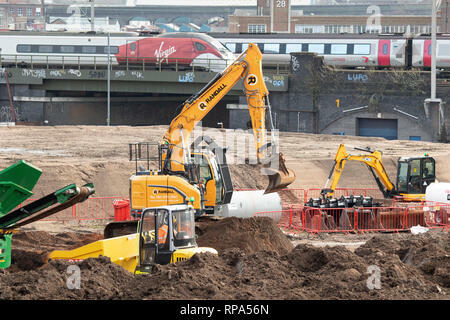 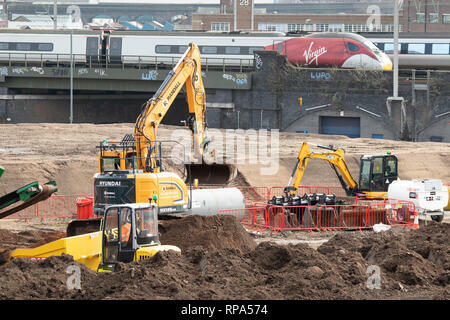 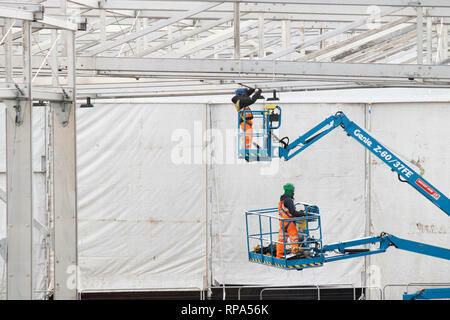 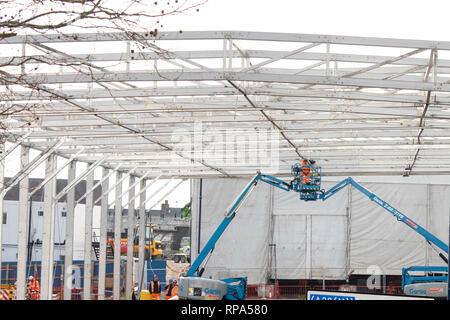 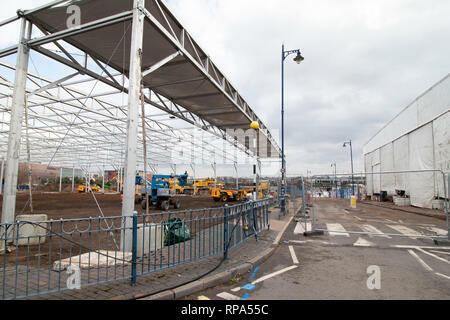 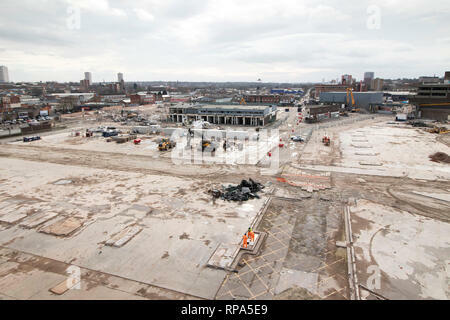 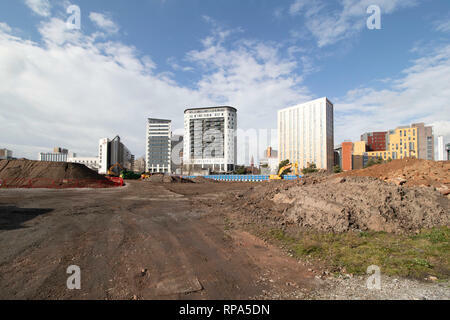 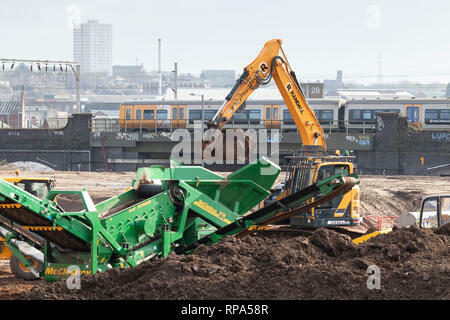 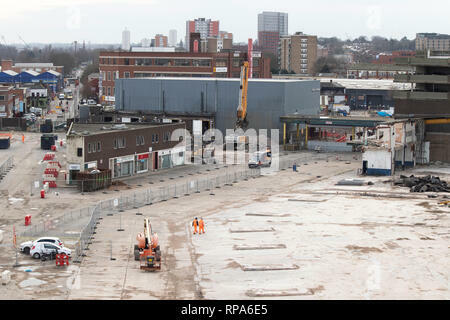 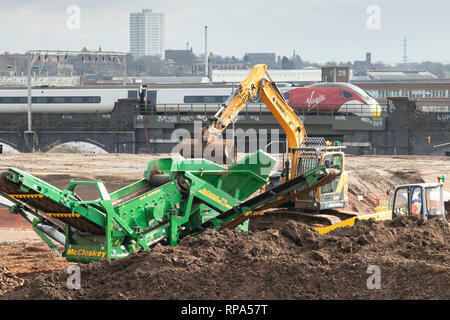 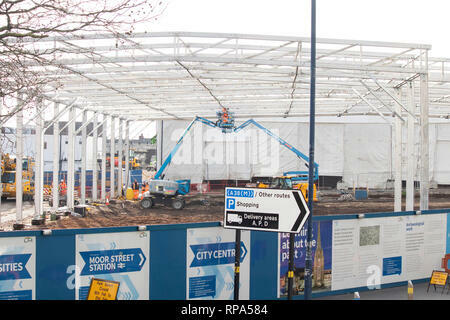 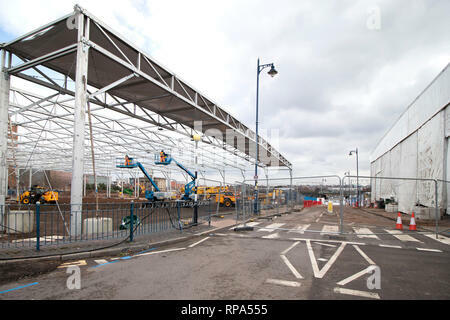 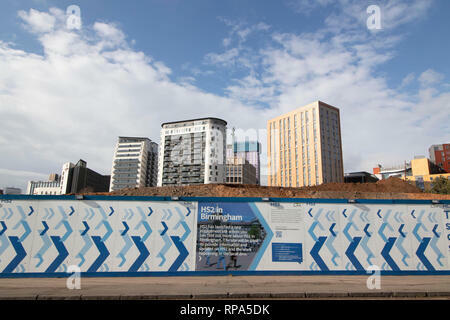 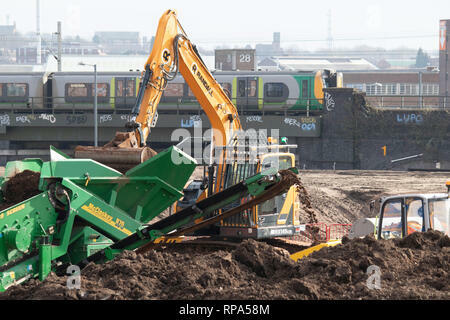 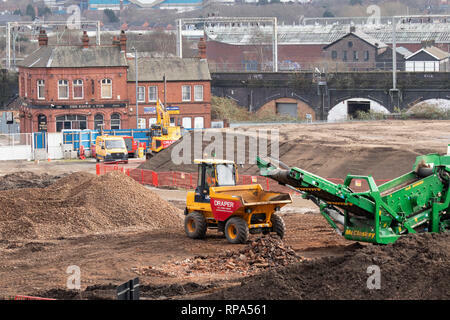 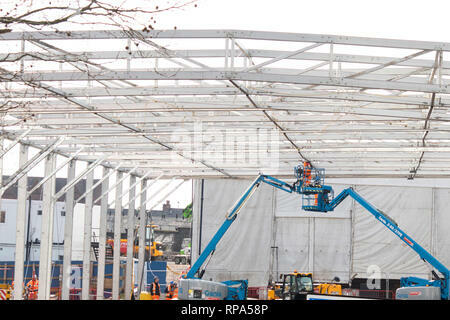 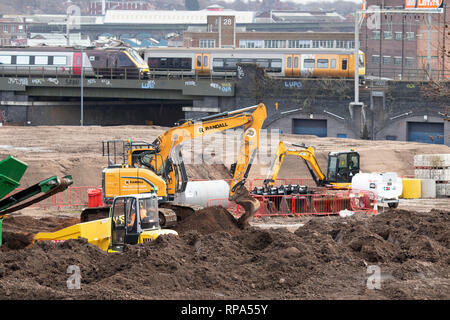 Work begins on building the HS2 High Speed rail terminal in the centre of Birmingham. 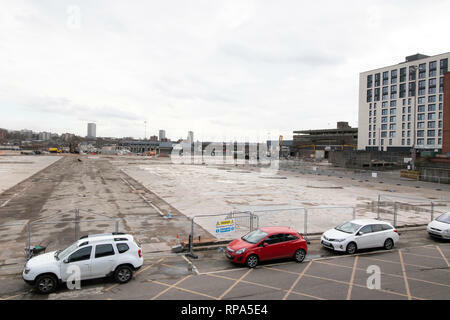 The covered burial site, Park Street, is seen, right. 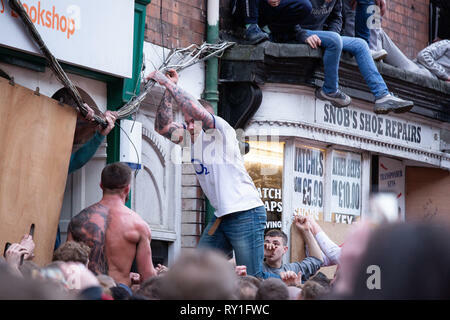 The High Cross which has stood outside the city's market since it was moved there in 1977. 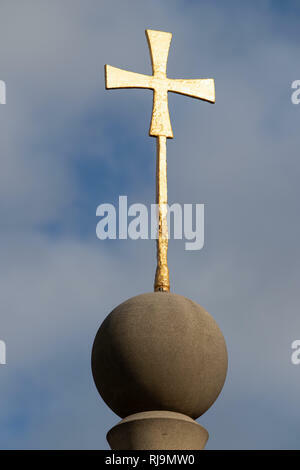 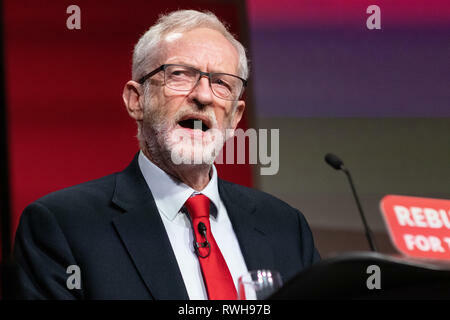 It has a gilded sword protruding from an Orb.